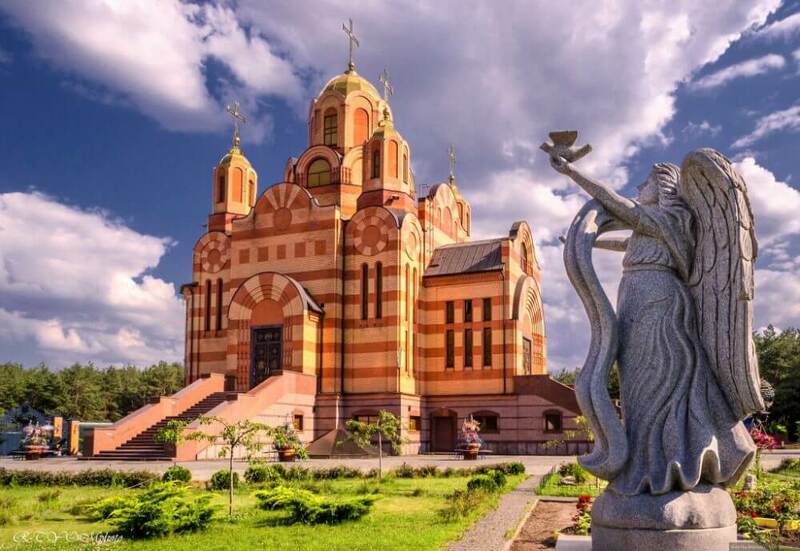 Bryansk (Mykolayivska) church is an architectural monument built in 1915 in neoclassical style. The temple was built on the former colony land of the Oleksandrivskyi metallurgical plant that belongs to the Briansk Society on donations from the workers of the Briansk and Trubny plants. Hence the church was called the Briansk church. A one-storeyed house for the priest was erected not far from the church (the building preserved to our days). The chruch amazes not only with the external but also with its inner beauty. The paintings on the walls were made by the artist M. Ivanov – an apprentice of I. Repin. In 1929, the church was closed, and the building was used for various city needs. Since 1987, and up to the present time, the church has been housing the House of Organ and Chamber Music. There is a 12-ton “Sauer” organ listed in the UNESCO catalogue. Since 2013, masses have been held in the lower rooms of the church. The Tykhvyn Holy Convent was founded in 1866 and built on the lands of a former priest. 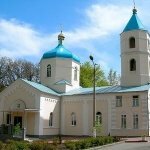 On the territory of the monastery there was a cathedral church named Tykhvyn icon of the Mother of God, the Holy Barbarian Church, cells, a refectory and a parish school. In 1925 the monastery was closed. Its premises contain a boarding school for disabled children. In 1959, the Tykhvyn Holy Convent was blown up. In 1997, the masses in the Holy Barbarian Church resumed. The monastery was reconstructed and since 1999 the Tykhvyn Holy Convent started operating again. The main shrine of the monastery and the whole itself is the Tykhvyn icon of the Mother of God. Also the monastery preserves a reliquary with particles of the relics of the Saints and a crown with a part of the relics of the holy martyr Barbara. 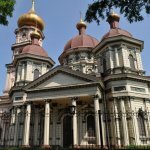 The icon of the “Iverska” Mother of God Cathedral is an Orthodox church, founded in 1998 in the Dnipro city. 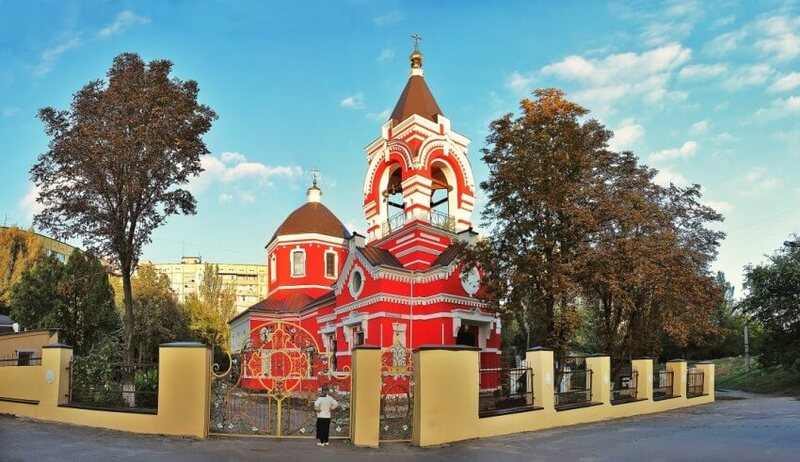 In 1998 the first small church “Golden Gate” was built. 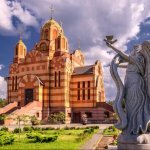 The construction of the main Icon of the “Iverska” Mother of God Cathedral consisting of the upper and lower cathedrals, was started. The building is made in Byzantine style from red bricks. In 2008 the church was consecrated. There are such relics as the particles of the great martyrs Pantheleimon and Demetrius of Thessaloniki, Mary Magdalene, etc. Also a replica of the Lance of Longinus was made for the church, which is kept here since 2012. On the territory one will find a spring with a font in the form of a cross and a large sundial . 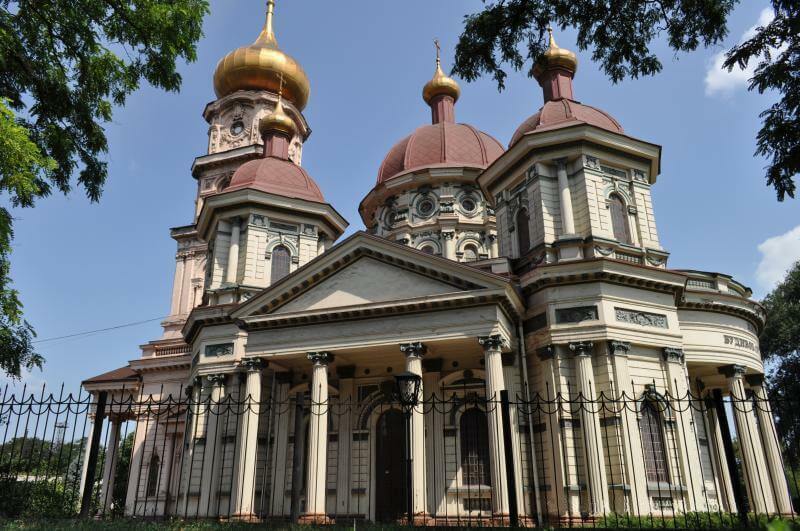 Holy Cathedral of the Three Hierarchs is one of the oldest cathedrals in the Dnipro city. The construction started in 1900. It was built on the territory of the former car-repair factory by the efforts of the owner and workers of the plant. In 1902, the cathedral was consecrated in honour of the three hierarchs – Basil, John and Gregory. The structure, crowned with a dome with a cross, had the shape of a regular cross. Three schools were opened at the church. The board of trustees was headed by the owner of the plant S. Danilevskyi. The photo of the board preserved since 1912. Now it remained in the church. In 1937, the Holy Cathedral of the Three Hierarchs was closed. The cross and the upper part of the dome were destroyed, and a warehouse was set up in the premises. During the World War II, the cathedral was opened and has not been closed since that time. In 2010 – 2011 the appearance of the cathedral has changed: two side aisles were completed. Now the cathedral resembles a ship. Here are particles of the saints, the altar gospel (1784), the icon of the Mother of God “Procession to the Families”. Sunday school operates at the church. 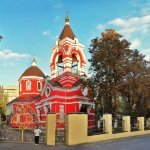 The Holy Cross Exaltation Church is the Orthodox Church and the oldest cathedral in the Dnipro city. It is an architectural monument of local importance. 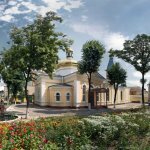 A cathedral was built on the lands of the Diiev settlement, founded in 1755 by one of the sergeants of the Zaporozhian Sich, Maxym Diiev. The beginning of the foundation laying dates back in 1803. In 1817 the church was consecrated. 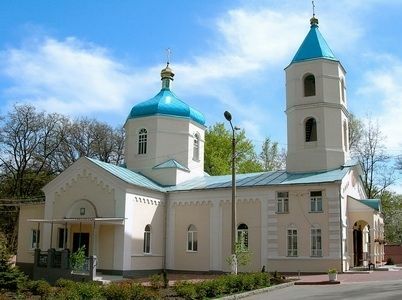 The uniqueness of the church consists in the combination of a diocesan style and Ukrainian neo-baroque, peculiar for architecture of the XVII century. Painting was performed in the end of XIX century. In 1933, the Holy Cross Exaltation Church closed down, giving the premises for public needs. In the 1970s during a neighborhood development, a question about the demolition of the church was raised. Thanks to the efforts of the church ministers and parishioners, it was possible to designate the building as a monument of architecture and thereby preserve the church. In 2013, the restoration of the building and wall paintings began. The church holds masses and hosts a Sunday school.